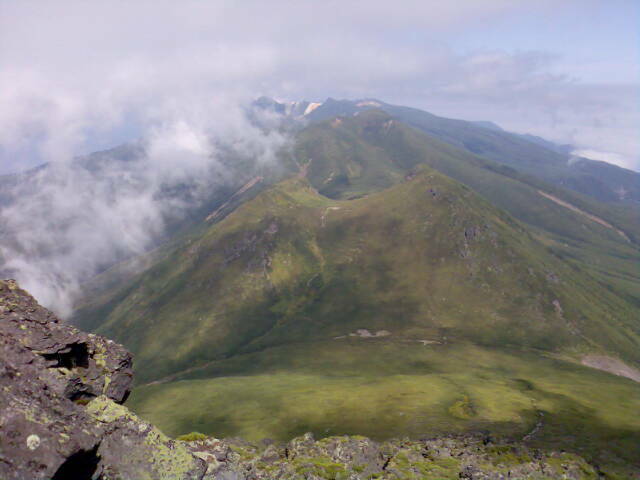 The cloud-wreathed peaks of the Shiretoko Peninsula seen from Rausu-dake. The peak in the far distance (with the barely visible, pale-colored blemishes that look like snow) is the active volcano, Io-zan ("Sulfur Mountain"). The blemishes are volcanic deposits.